Think your lips are too thin? Hoping to get fuller lips to look like a few famous celebrities? The popularity of lip injections continues to rise – over 50% more people than the year 2000 have gone in to get fuller lips. The popularity of stars like Kylie Jenner and Angelina Jolie helped with this cause. If you think your lips could use some puckering up, you can consider getting a lip filler injection. It’s a safe and quick procedure, but it can be scary for some first-timers. To ease some of your worries, read on to learn what you need to know about it. If you’re thinking of going in for one appointment and walking out of the clinic with a Kylie Jenner pout, you’ll only face a massive disappointment. You may have to build on your first treatment to get such results. Remember, fillers aren’t botox. Furthermore, not all lips can look like Kylie’s lips, even with fillers. The injection can only enhance your own lips, which means it won’t change the shape of your lips. For this reason, you’ll have to manage your expectations. The best thing to do would be to communicate your desired outcome with the our practitioner. They will be the one to assess the configuration of your mouth and how to best achieve the look you want. The needle used in lip injections is thin. Still, it should cause a slight sensation when the practitioner inserts it into your lips. At first, it should feel like a slight pinch with a little pressure. As the practitioner injects the filler, you may also feel some stinging. After which, the practitioner will massage your lips, put some ice on it, and then send you on your way. Apart from these sensations, the procedure shouldn’t be too painful. It might cause some anxiety for those who are afraid of needles, though. You can also request for a numbing cream, especially if it’s your first time. If you notice some bruising on your lips after the procedure, don’t fret – it’s a normal side-effect. Even if you follow the pre-treatment instructions and the most talented doctor will be doing some procedure, you can expect some slight bruising to occur. The bruising can appear right after the injection, but it can also pop up a couple of days later. Either case is normal, so there’s no need to book another visit. Bruises should fade within 5 to 7 days after the procedure. Bleeding at the site of the injection is an expected side effect, as well. For these reasons, you shouldn’t get fillers a week before an important event. Swelling is another common side effect of injecting an area with fillers. Unlike the effects above, though, our lips will almost always swell after injections. You won’t see the real results of the treatment until after the swelling has gone down, which can last a few days or more. For some, however, swelling can last up to 2 weeks. To be safe, don’t schedule anything important for the 3 weeks following your lip injections. As we’ve mentioned above, you can expect some bruising and bleeding after the treatment. However, there are measures to reduce the severity of these side effects. One rule is to avoid taking blood thinners at least a week before injections. They can lead to some serious bruising and bleeding. These include fish oils, pain killers, vitamin E, etc. This means you can’t pop an Advil to reduce the pain of injection. You might also have to take some extra precautions for specific conditions. If you had cold sores, for example, the procedure might trigger an outbreak. In this case, our practitioner will have you take a medication in the morning, so be sure to discuss such things during your consultation. Although the downtime of the procedure is minimal, our medical provider will have a set of do’s and don’ts for after your treatment. These will likely include instructions on how to reduce the appearance of side effects right away. The instructions may include placing an ice pack on your lips on the evening after the procedure, sleeping with an elevated head, and taking Arnica to speed up the healing process. As for the don’ts, the medical provider might prohibit you from taking a hot shower later that evening, drinking from a straw, or sipping hot liquids. You might also have to skip the gym for 24 hours or so. With that said, after-care is pretty minimal as you can even head out to drink a glass of wine after your procedure. Note that the degree of swelling will vary, so the steps you’ll need to do will vary as well. After all the bruising and swelling have gone down, you should then be able to enjoy your new lips. This is what it will look like for the next months: a natural look and feel. However, it’s normal for the whole lips to feel a bit firm for the first 48 hours. Some areas may also feel a bit firm, but for the most part, the lips with fillers shouldn’t feel any different from your lips without fillers. Also, take note that lip fillers aren’t forever, so you’ll have to schedule some follow-up sessions every 6 to 12 months. This would depend on the type of treatment you get; our medical provider will be able to better advise you on that. If, for some reason, you’re not happy with the outcome, a solution is only an injection away. A magic eraser enzyme called hyaluronidase can reverse the filler. This will dissolve HA fillers; it won’t work on semi-permanent and permanent fillers. 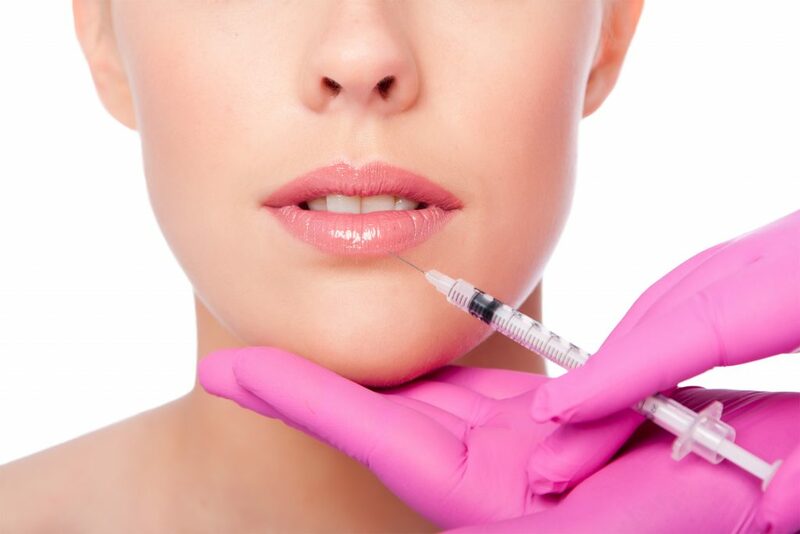 Going in for a lip filler injection for the first time may be scary, but talking to our highly experienced and trained provider will help you ease your worries. If you have any question about the procedure, or if you want to schedule a visit, don’t hesitate to contact us today. We have exactly what you’re looking for!